Life is elevated at Edgemont. Situated on the seventh floor, this pure ski in/ski out masterpiece captures a stunning panorama of the Yampa Valley from Rabbit Ears to The Flat Tops. With well-appointed amenities, including ski & pool locker rooms, lounge and beverage areas, fire pit, hot tub, heated saltwater pool, gym, and shuttle service, Edgemont represents the pinnacle of Luxury in Steamboat. Savor every moment of your vacation time: The mountain lifestyle, with logistics removed, is the hallmark of Edgemont living. At the end of your day, glide right to your door and enjoy Apres ski next to the outdoor gas firepit, or from your 7th floor balcony, where you can take in the beautiful evening sky and plan tomorrow 's adventures. Directions:Mt. Werner towards the ski area, right on Mt. Werner Circle, Roundabout to Apres Ski Way, Left on Ski Trail Lane. Enter into Edgemont on the left. Listing provided courtesy of Steamboat Sotheby's International Realty. SchoolsClick map icons below to view information for schools near 2410 Ski Trail Lane #2702 Steamboat Springs, CO 80487. 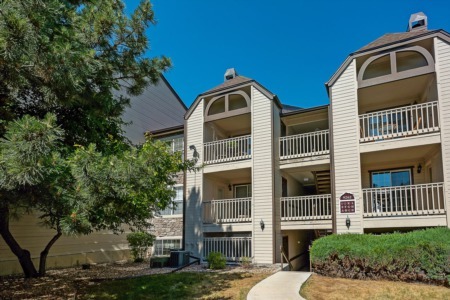 Home for sale at 2410 Ski Trail Lane #2702 Steamboat Springs, CO 80487. Description: The home at 2410 Ski Trail Lane #2702 Steamboat Springs, CO 80487 with the MLS Number 3028825 is currently listed at $1,495,000 and has been on the Steamboat Springs market for 77 days. You are viewing the MLS property details of the home for sale at 2410 Ski Trail Lane #2702 Steamboat Springs, CO 80487, which is located in the subdivision, includes 2 bedrooms and 2 bathrooms, and has approximately 1469 sq.ft. of living area.